After a compelling challenge İzmir did 855,002.1 km in total. (some of was done by me :)). 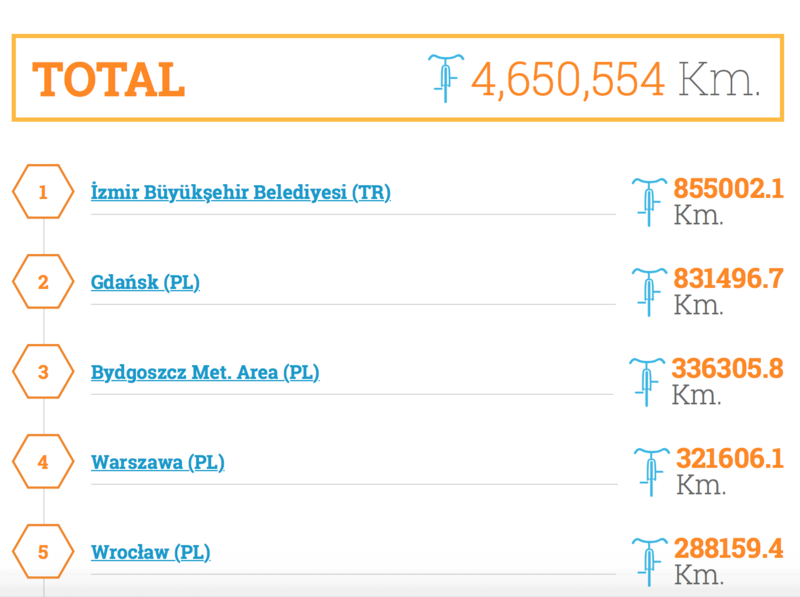 Another succesful city was Gdansk from Poland with 831,496.7 km in total. All participants have done 4,650,554 km in total. It was huge amount of miles. Personally I thank the people who organized this challenge. It was a nice organization to make cycling more popular and it was also enjoyable.